If you are reading this then it probably means you are in need of a monitoring app or service but with so many options around, it is quite difficult for you to choose the best app and service; if that’s the case then you are not alone. Monitoring apps and services are must needed nowadays because with the advancement in technology, parents want to protect their kids from online threats like cyber bullying and employers want to protect their businesses, critical data and confidential information. Let’s compare two of the most popular monitoring apps; mSpy and Mobile Spy. When it comes to compatibility with different kind of mobile devices and mobile platforms, mSpy is a clear winner because Mobile Spy has so many limitations on its hands. 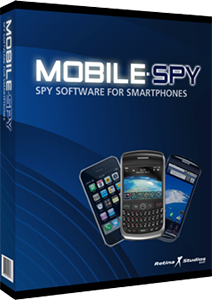 Mobile Spy is available for BlackBerry devices as well as iOS and Android devices. The twist is it needs iOS devices to be jailbroken and Android devices to be rooted in order to b work. On the other hand, mSpy is not only available for mobile devices running iOS and Android operating systems but it also supports non-jailbroken devices as well as jailbroken iOS devices and all kind of Android devices including phones and tablets. 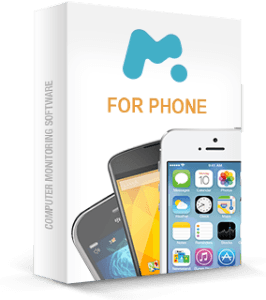 Mobile Spy and mSpy both have all the basic features you want to see in a monitoring app and service yet mSpy has some additional advanced features that you might like while monitoring your kids and employers to know their activities and whereabouts. Both of these apps come with features like call monitoring, message monitoring, email monitoring, IM and social network monitoring and location tracking. Although Mobile Spy has Facebook, Twitter and WhatsApp monitoring yet mSpy also has Viber and more importantly Snapchat monitoring. Snapchat is a quite popular social network among young adults and with this monitoring feature mSpy has a huge advantage over Mobile Spy. As mentioned above, both of these apps and services have location tracking feature that allows parents and employers to keep a keen eye on the routine and whereabouts of their kids and employees without invading their privacy. You can even see where you kid went last night because these services record everything via GPS location tracking. Both of these apps come with some additional features like remote device lock, remote device wipe as well as access to the photos and other media files stored on the target devices. Mobile Spy has two different plans; the basic plan is available for $50 for 3 months that comes with some limited features while the premium plan is available for $65 per 3 months. Basic plan for 6 months and 1 year costs $70 and $100 respectively. On the other hand, mSpy has so many packages with different features and time period that makes it easier for users to choose the best plan according to their need. You can see their pricing from their official website. Although both of these apps and services are amazing yet mSpy has a huge advantage when it comes to compatibility and slight advantage in features and pricing categories.